The 2019 Honda Accord has over thirteen color choices so you can find one that suits the style you’re looking for. Add a splash of color with blue, red, or green, stick to clean-looking whites, or even darken things up with a black or gray. Browse the Accord color options at Honda of Lincoln and build your model today. There are three color options that are found consistently in all three Accord trims: Lunar Silver, Modern Steel, and Crystal Black. These aside, each model offers its own take on other colors like red, blue, and brown. Decide on your trim level and then have fun picking your colors! 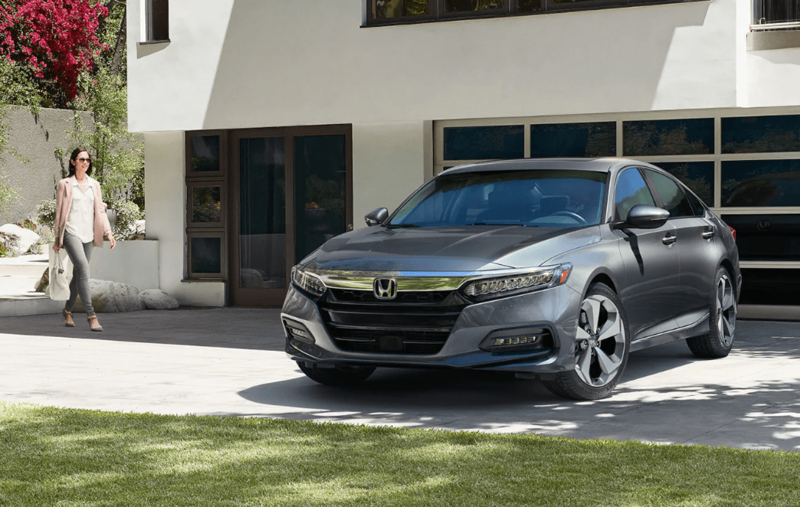 When it comes to the Honda Accord interior, the Sport model comes with black cloth upholstery while the LX and Hybrid models have the option of black or gray cloth. Once you decide on the trim level and exterior color of your new Accord, match the interior for a stylish, new vehicle you’ll want to show off in Gretna and beyond. Once you’ve decided on a color, explore our Accord specials to find a deal on the model you are interested in! Paired with our competitive financing options, you can drive home with a vehicle, and deal, you love.